The Government of Azerbaijan and the Republic of Korea have signed a Framework Agreement on Grant Assistance. The document was signed by Azerbaijan’s Minister of Economy Shahin Mustafayev and Korean Ambassador to Azerbaijan Kim Tong-op. 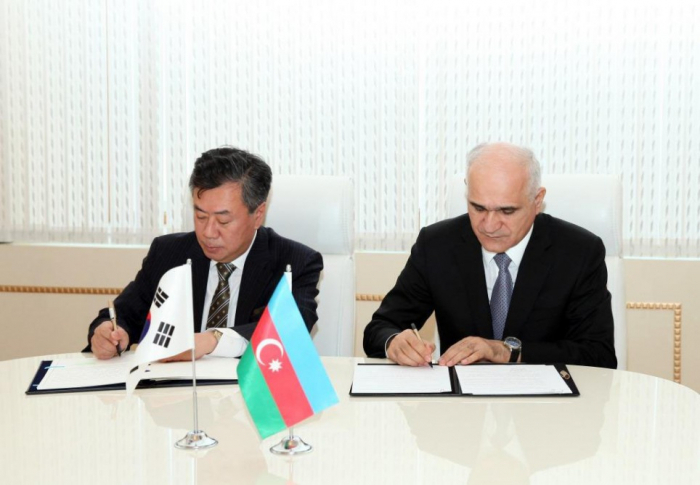 The document envisages continuation of joint cooperation between Azerbaijan and the Republic of Korea on technical assistance and grant agreement.